Every year, thousands of people – an average of three per day – die from accidents on construction sites in the United States alone. One of the driving forces behind this trend is the paucity of safety inspectors. Now, some engineers are turning to tech to make the safety inspection process easier and more accessible, turning construction sites less deadly in the process. This is what led Ardalan Khosrowpour to found OnSiteIQ in 2017. Khosrowpour has a background in engineering and says that as someone who had grown up around construction sites, he’d seen the negligence that exists in the industry. “Construction is the second least digitized industry after agriculture, and as a civil engineer, I believe that our industry deserves better than this,” said Khosrowpour. 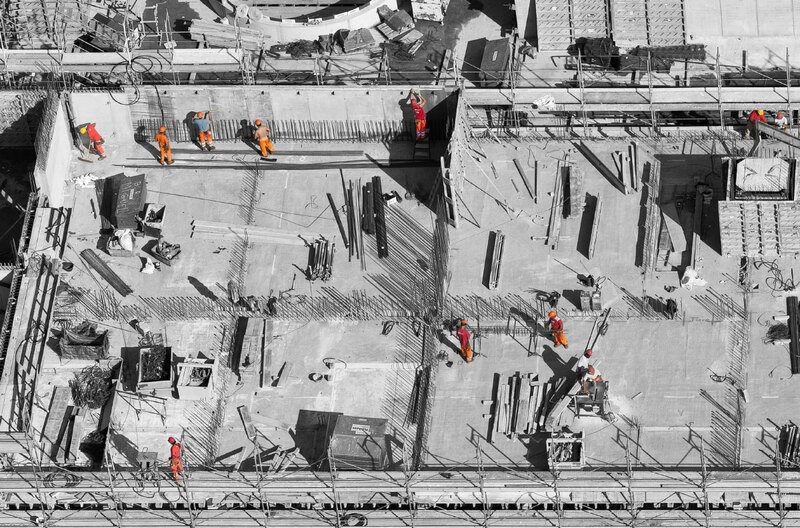 His program, usable from anywhere and on any device, allows anyone to remotely inspect a construction site using a technology-based documentation system, promising to cut down on the fatalities, injuries, and insurance costs. Here’s how it works: the company has a network of data collectors, each armed with a 360-degree camera, to walk through an entire construction site twice monthly, recording all the while. This video is then uploaded onto the platform and gets automatically mapped onto the site’s floor plans using a built-in computer vision algorithm. The result is called a 3D “panograph” – a large, wraparound digital image created from these photos and video clips strung together. Because all of the collected data is geolocalized and timestamped, users can pinpoint exactly when and where site conditions might be changing. An artificial intelligence system trained to highlight potential safety hazards expedites this process. This is all a far cry from the traditional, pen-and-paper methods used to document, inspect and assess the potential hazards on a construction site. In short, it “enables any stakeholder from any location to virtually walk the site and do their own inspection,” says Khosrowpour. This program also consolidates this data into easy-to-read graphs, allowing users to quickly track when, where, and how often a particular safety issue, like a missing guard rail, occurs. The program’s location-based technology also tracks where on-site the most safety issues are occurring. All of this together allows users to quickly assess and eliminate any potential safety risks, and any comments about a site can instantly be annotated, tracked, and shared among those that need to know. Khosrowpour presented OnSiteIQ at the BuiltWorlds Project Conference this past week at Grand Central Tech in Manhattan. 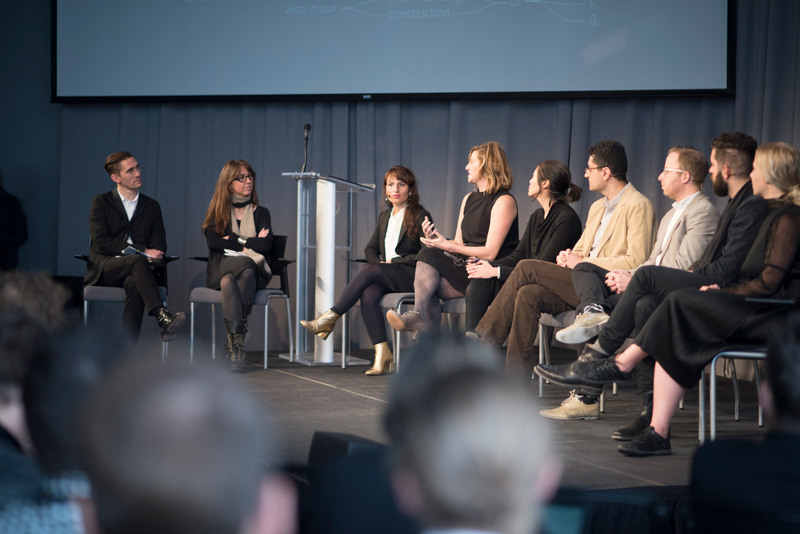 The conference was dedicated to discussing the emerging technologies meant to augment city planning and architecture. OnSiteIQ was one of the finalists of the NYC Startup Challenge – a shark tank-style pitching session, where CEOs of five selected technology-based startups presented their projects to a panel of judges from the construction and urban planning fields. The winner would attend this year’s Builtworld Summit: a prime opportunity to drum up new clientele and reach potential investors. Though the competition was close, OnSiteIQ ultimately came in second. While the judges liked the concept, their main concern was how this concept could evolve into a continuous and real-time monitoring system on the job sites. RoadBotics, an URBAN-X cohort member using phones to survey road conditions and AI to assess them, took home first place. Since its inception, OnSiteIQ has collected over 3.7 million square feet of data using its twice-monthly data collection model. The program is available through a monthly subscription from the program’s website with three different tiers depending on the services required for a project. Depending on what a user needs, they can choose to focus on documentation and safety inspection alone, or they can add in risk-assessment technology. Come April 2, California will see fully autonomous vehicles (AVs) hit the streets after the state’s Department of Motor Vehicles (DMV) ruled that the cars don’t need a human in the driver’s seat. First proposed in October, the change means that the 50 companies registered to test self-driving cars in the state could start to ramp up the scale of their projects. The changes come as other states, like Arizona, have seen tech companies ramp up their investments in self-driving cars thanks to a lack regulations. Once the rule takes effect, these vehicles will only need an operator to monitor the car remotely, similar to flying a drone, just in case. Uber, Google’s self-driving car initiative Waymo, General Motors and other big-name players in the industry hailed the move as a major step forward in rolling out AVs on a mass scale. "This is a significant step towards an autonomous future in the state, and signals that California is interested in leading by example in the deployment of autonomous vehicles," Uber spokesperson, Sarah Abboud told The Sacramento Bee. "With this effort complete, we look forward to working with California as it develops regulations applicable to autonomous trucks." Even though it seems as if California is easing off the gas, companies will still be required to report their "disengagements," or human takeovers. While the self-driving cars being tested for mass market production use an array of cameras, radar sensors and satellite data to navigate, the technology isn’t perfect, and most AVs are tested in flat, open landscapes without pedestrians. After April we might see self-driving cars expand their reach onto busy streets or highways, but a full-on integration with manned traffic still seems unlikely. 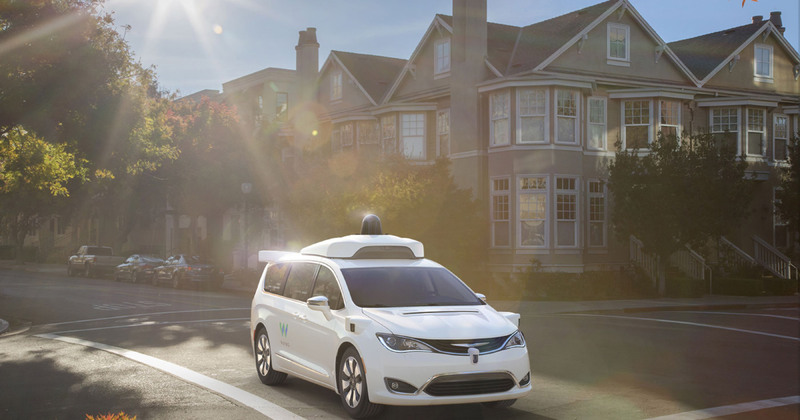 The industry leader in disengagements, Waymo, still reports needing a human takeover about every 5,600 miles, even as the company has announced that it would be launching a driverless ride sharing service in Phoenix, Arizona later this year. Despite the promised safety and environmental benefits that fully autonomous cars would bring (not to mention self-delivering pizzas), consumer advocacy groups have complained that rushing to bring AVs to real streets could endanger lives. Nonprofit organization Consumer Watchdog railed against the decision, releasing a statement accusing the DMV of prioritizing speed over safety. Although advancements in self-driving technology have been promising, the group wrote, “Even if the robot cars were to reach the highest level of perfection (which they are nowhere near, despite what clever marketing might have you believe! ), robot cars will co-exist in a world with other humans, who will continue to act in unpredictable, non-robotic ways. Put simply: the robot car world will not be perfect, despite what the technocrats may have you believe.” With more autonomous vehicles set to take up space on public streets, it remains to be seen how well they’ll integrate with our messy, irrational transit system. Art and architecture have always been inexorably intertwined, as new innovations in materials and construction allow buildings to rise higher and branch out into experimental new forms. 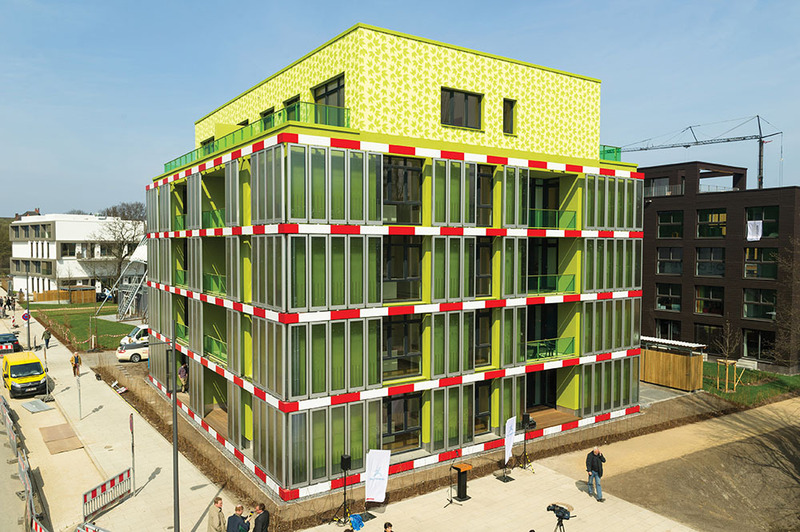 But after concrete, high-rise timber, and advances in digital design, how will the field continue to progress? What new technologies and typologies will arise in the future, and how can architects and designers not only adapt, but thrive? 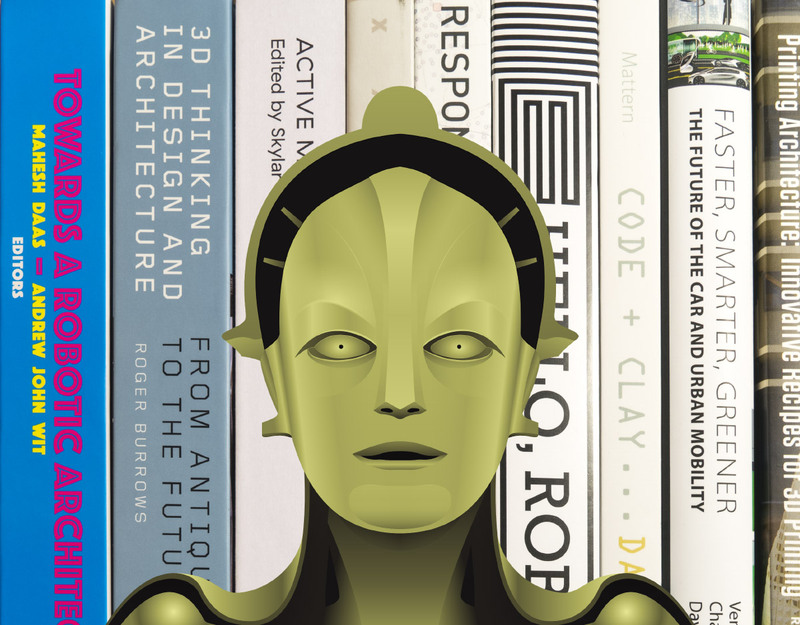 Below is a roundup of some of 2017 and 2018’s best books on digital fabrication, robotics, redefining architectural scale, and guides on how to design for a science fiction future. Towards a Robotic Architecture Mahesh Daas and Andrew John Wit ORO Editions $40.06 As Le Corbusier’s Towards a New Architecture advocated for an architectural movement unburdened by the weight of historical convention, Towards a Robotic Architecture implores readers to consider what the field will become once automation and robotics fully come of age. 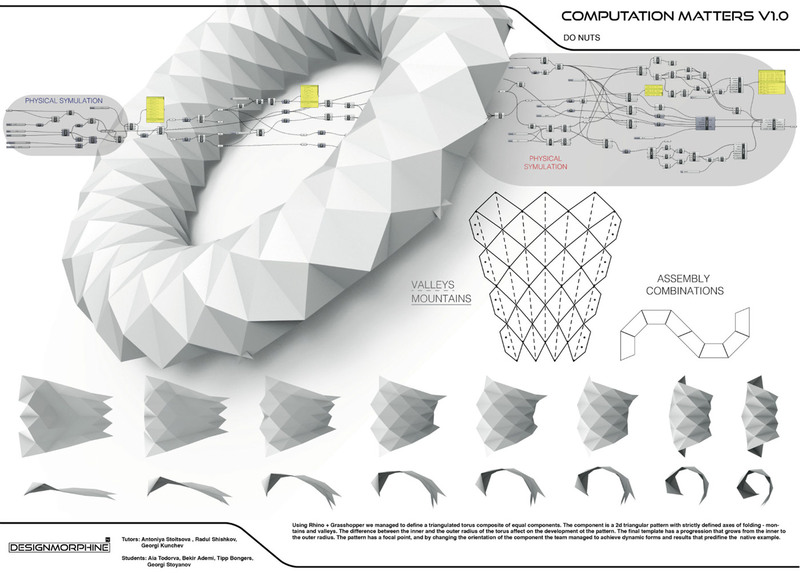 Through a series of case studies, Daas and Wit examine cutting-edge fabrication techniques, buildings that interact with their occupants, additive manufacturing, drone-based construction, and the realization of previously impossible forms. 3D Thinking in Design and Architecture: From Antiquity to the Future Roger Burrows Thames & Hudson Pre-order for $41.25, to be released on May 15, 2018 How did the architectural designers of the past work within the confines of numerical systems built on whole numbers? How has the progression of mathematical knowledge influenced the way we see the world? In 3D Thinking in Design and Architecture, Burrows charts the intertwined evolution of geometry and visual logic from the dawn of civilization to the present and beyond. Active Matter Skylar Tibbits MIT Press $32.31 Fabrication has made leaps and bounds over the last few centuries, but material science has made just as many intriguing advances. In Active Matter, Skylar Tibbits curates a discussion between artists, scientists and designers who are working on the cutting-edge of transforming materials, from self-forming furniture to eye-tracking clothing, to pavilions wound up with explosive force. Responsive Landscapes: Strategies for Responsive Technologies in Landscape Architecture Bradley Cantrell and Justine Holzman Routledge $52.22 Landscape architecture is often left out of the conversation when talking about technology, but sensors, advanced modeling techniques and robotic manufacturing will eventually cause a seismic shift in landscape architecture. 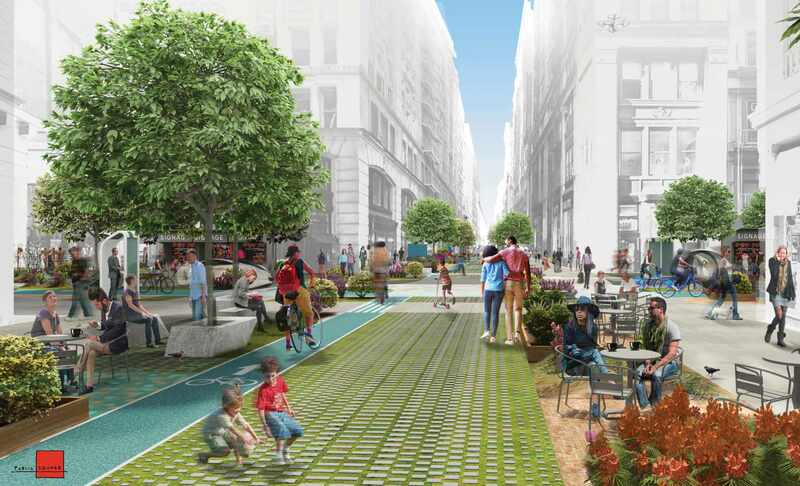 Responsive Landscapes explores how designers are working to future-proof their landscapes against climate change, monitor usage patterns, and track pollution on their sites, and what the future might hold for the profession. Technically this book was released at the tail end of 2015, but it sheds light on an oft-overlooked part of the field. Hello, Robot. : Design Between Human and Machine Mateo Kries Vitra Design Museum $40.14 Pushing the boundaries of architecture with robotics is one thing, but how do humans interact with and relate to robots? Hello, Robot argues that robots are much more than powerful tools, having preoccupied the human imagination for thousands of years in one form or another. As their presence becomes more commonplace, humans begin to soften and anthropomorphize robots, and they become much more than machines that imitate human effort. Faster, Smarter, Greener: The Future of the Car and Urban Mobility Venkat Sumantran, Charles Fine and David Gonsalvez MIT Press $26.95 Automobiles dominated the twentieth century, with infrastructure around the world built to accommodate unending stretches of roads and interchanges, often to the detriment of surrounding communities. 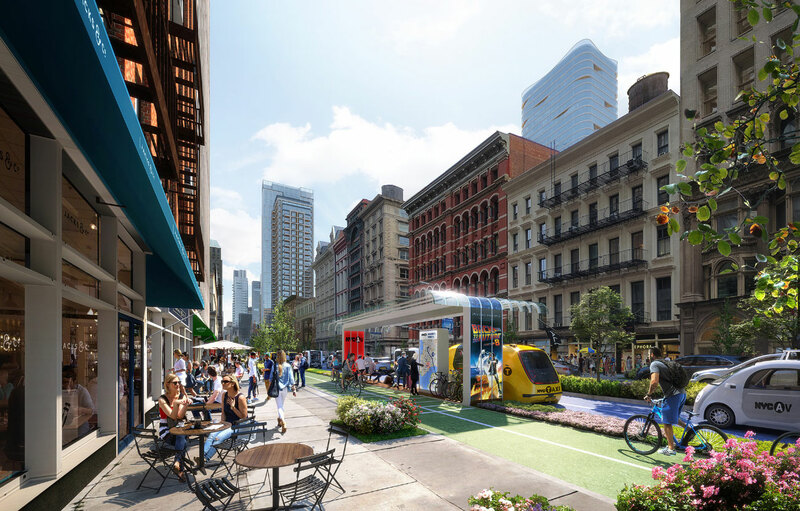 As Faster, Smarter, Greener puts forth though, that outdated method city planning is about to be radically changed as smart, interconnected vehicles will give rise to a new, cleaner age of mobile efficiency. Printing Architecture: Innovative Recipes for 3D Printing Ronald Rael and Virginia San Fratello Princeton Architectural Press Pre-order for $29.95, to be released on May 1, 2018 3-D printing and the world of architecture and design are natural fits for each other, as the technology allows for rapid prototyping and model-making at a low cost. 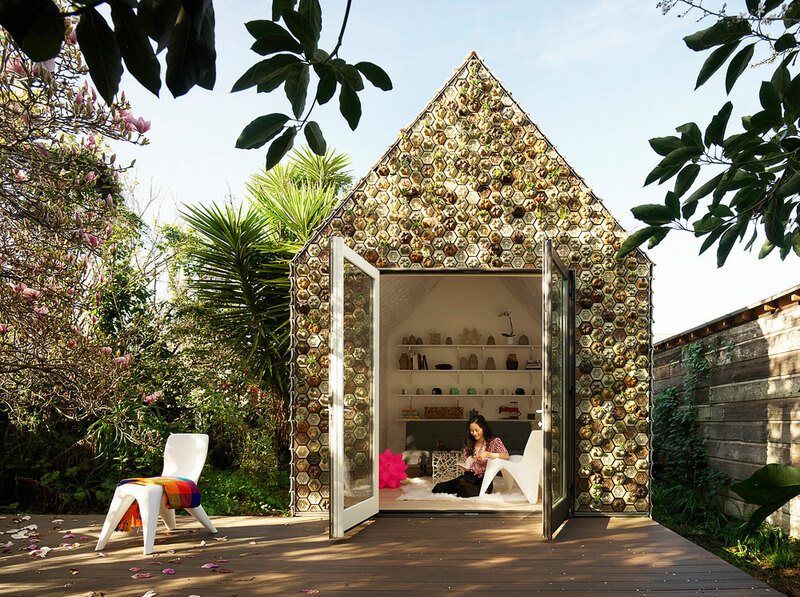 Printing Architecture runs readers through a series of case studies, from small household items all the way up to complex 3-D-printed structures, to give ground-up examples of how the technology will change the design field. Robot House: Instrumentation, Representation, Fabrication Peter Testa Thames & Hudson $26.99 Robotics are becoming more and more ingrained in our homes, offices, schools and third places, but are we tapping their full potential? Robot House examines robotics through the three “P’s,” projects, principles and platforms, exploring how robots are used, operated and thought about. Every book on this list was selected independently by AN's team of editors. If you buy something via the embedded links, AN will earn a commission. As of 2015, over 70 percent of all freight transported in the U.S. was moved by truck. That represents a whopping $726 billion in gross revenues from trucking alone, and each year, trucks haul everything from consumer goods to livestock over billions of miles in the United States. All of those numbers are growing—so much so, that according to the American Trucking Associations, the industry is running into a major driver shortage. Long hours, days away from home, and the stress of driving 80,000 pounds at 70 miles per hour is not for everyone, but one company is hoping to make the task easier through automation. Embark, a small startup based in Silicon Valley, is led by a number of engineering school dropouts. Its goal is to develop affordable semi-autonomous semis using neural-net–based deep learning technology. By developing hardware that can be fitted onto existing truck models, and software that learns as it goes, Embark has quickly and cheaply developed some of the most promising autonomous vehicles in the world. “Analyzing terabyte upon terabyte of real-world data, Embark’s DNNs have learned how to see through glare, fog, and darkness on their own,” said Alex Rodrigues, CEO and co-founder of Embark, in a statement that coincided with the introduction of the technology this spring. “We’ve programmed them with a set of rules to help safely navigate most situations, safely learn from the unexpected, and how to apply that experience to new situations going forward.” Rather than try to replace drivers, or redesign the trucks or roads, Embark is focusing on working with what already exists. Collaborating with Texas-based truck manufacturer Peterbilt, Embark is retrofitting the popular 579 semi models with sensors cameras and computers that can read existing roads and take over driving tasks from long-haul drivers. When the trucks must navigate more complex urban settings, the human driver takes back command. This focus on solving the open-road problem, instead of the entire range of driving situations, has streamlined the development process. 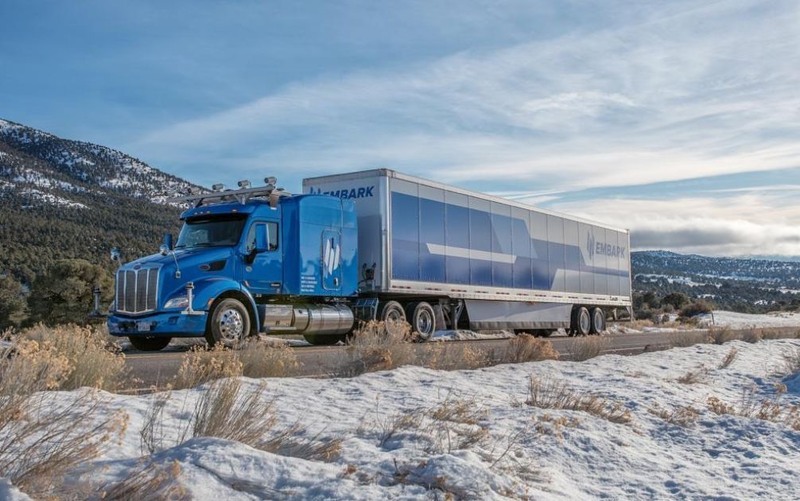 Currently Embark is one of only three companies permitted to test autonomous 18-wheeler semis on the highways of Nevada (the other two companies being Freightliner and Uber). With the Peterbilt collaboration and a recent announcement of $15 million in additional financing, Embark has become one of the leaders in the race to automate transportation. While Google, Tesla, and a slew of other car companies target the finicky consumer market, Embark has its sights squarely on a market struggling to keep up with demand. With hundreds of billions of dollars at stake, and billions of pounds of freight being moved, it seems only likely that it will be the self-driving truck, not sports car, that we will be seeing on the road sooner rather than later. "If you took GPS out of people's phones now, they would die." That was the bold claim Google's Aaron Luber made at the inaugural Tech+ expo today. Hyperbole? Maybe, but Luber made the point of how dependent we are on technology to navigate the built environment. Moreover, how else does technology impact our surroundings? 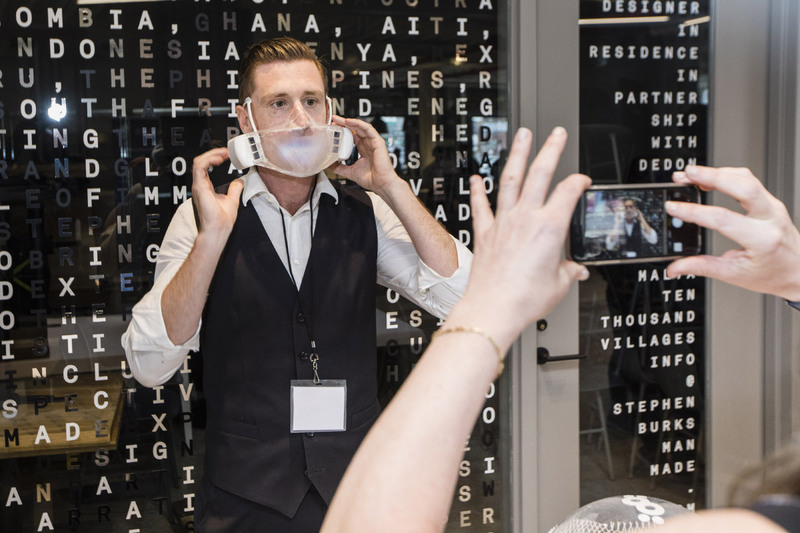 Presented by The Architect's Newspaper, the inaugural Tech+ expo saw 500 architects, designers, and tech experts head to Metropolitan West to get the low-down on how technology is shaping the built environment. The day was shaped by industry professionals discussing and showcasing technology that is developing a role within the design process of numerous firms and enhancing client-architecture relationships. Luber estimated that by 2018 almost all Android-based cell phones will be running software called "Tango." This software, he explained, when used with another software package called "Trimble," allows GPS to work in-sync with programs such as AutoCAD to allow clients to view their projects live on-site. Luber called this a "visual positioning service," which, for all intents and purposes, was an augmented reality machine. As for virtual reality, however, a host of VR firms, including Iris VR, Insite, and NVIDIA was present at Tech+ with their stalls showcasing their latest products. VR has, for a while now, been used to enhance the client-architect relationship through walk-throughs and other demonstrations. 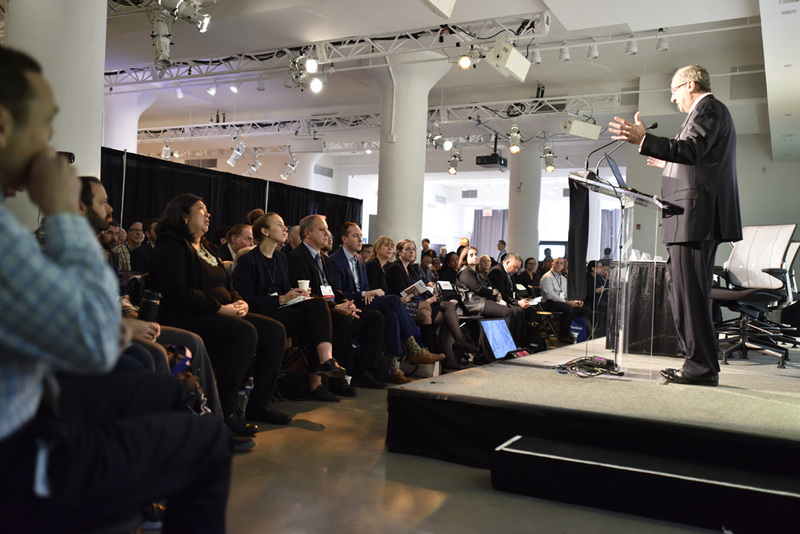 Despite confessing to being trained in "analog fashion," Keynote speaker Hao Ko of Gensler said: "Maybe the days of drawing plans and sections are gone now, we don't need 2D drawings anymore." Technology, he went on, has enabled us to present more coherent representations to clients. Before architects had to make physical models to enhance the experience, and these models were made at larger and larger scales—something Eero Saarinen was very familiar with, as Ko displayed a picture of the Finnish-American architect's legs sticking out of a model of the TWA terminal. Plans and models, though, can work together too. Graphisoft demonstrated how its software amalgamates section and plan drawings into 3D models, allowing both architects and clients to read what they see at the same time. Using ArchiCAD and exporting to Graphisoft, architects can also share 3D models with those using iPhone's too. Likewise, LERA demonstrated that tuning off layers can reveal construction sequences, among other things. What to take from all this? Ko summed the event up in his keynote: "To make the most of the future, we have to live in it," he said, before going on to describe the NVIDIA California office complex designed by Gensler. "Technology does not wait, and neither should architects."